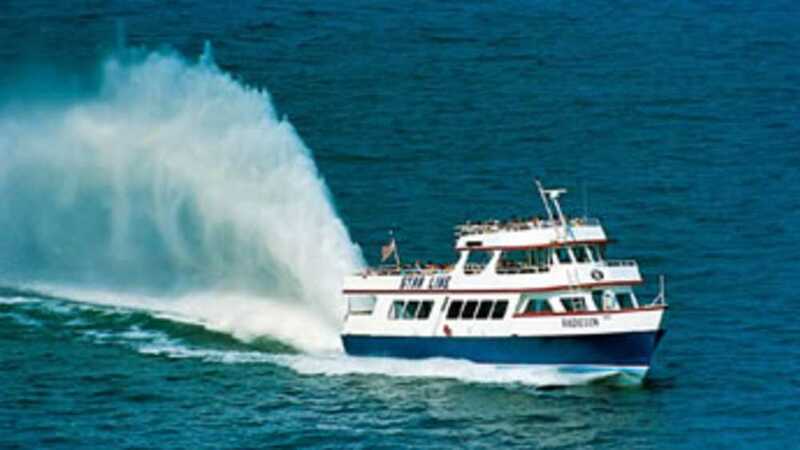 Board the barrier free main decks of a Star Line Hydro-Jet ferry and enjoy a panoramic view of the Straits that includes the Mackinac Bridge. Then sit back, relax and enjoy the area's scenic beauty, from the comfort of our glass enclosed cabins or our open air observation decks. Watch as Star Line's Hydro-Jets produce their distinctive 35' roostertail spray. Star Line also offers a Monday night Sunset Cruise under the Mackinac Bridge the last two weeks of June, all of July and the first two weeks of August.